SAN JOSE, Calif. - Oct. 25, 2016 - PRLog -- Through the compelling stories, Gangstas reveal reasons into the gang life style. Making Of A Gangsta explores beyond stereotypes, colors and tattoos. 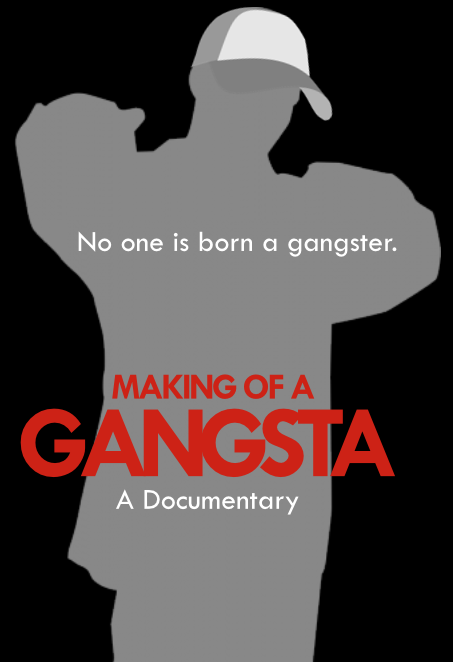 Making Of A Gangsta challenges viewers to see beyond the polarization and judgment that has plagued the gangster and instead embrace hope and purpose by seeing human qualities and potential. The feature-length documentary showcases the radical change was not an overnight occurrence but a slow mental germination that slowly emerged while ushering gangster features, qualities, mannerisms and characteristics. The Tenacious Group has partnered with Midtown Family Services for the Premiere Showing to provide resources and supportive services to youth and families who are involved in the gang lifestyle. 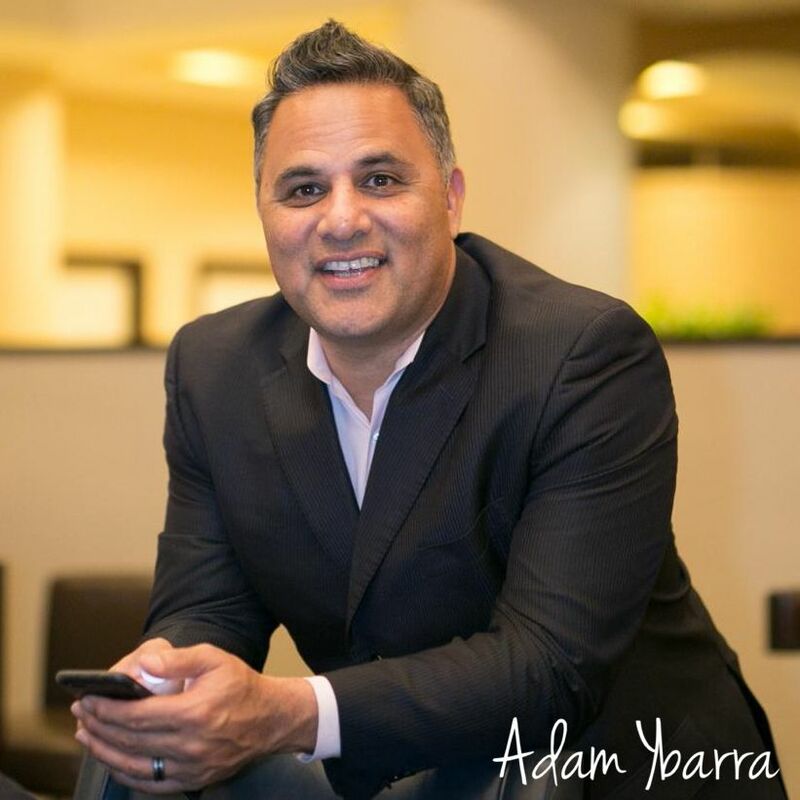 Midtown Executive Director Marty Estrada sees Making Of A Gangsta as a non-threatening way to inspire hope and purpose to viewers. If one person takes advantage of our case management support, tattoo removal referrals, counseling, advocacy, and mediation to gang members as a result of the Documentary ... we all win. Midtown Family Services is a partner with the City of San Jose Mayor's Gang Prevention Task Force. 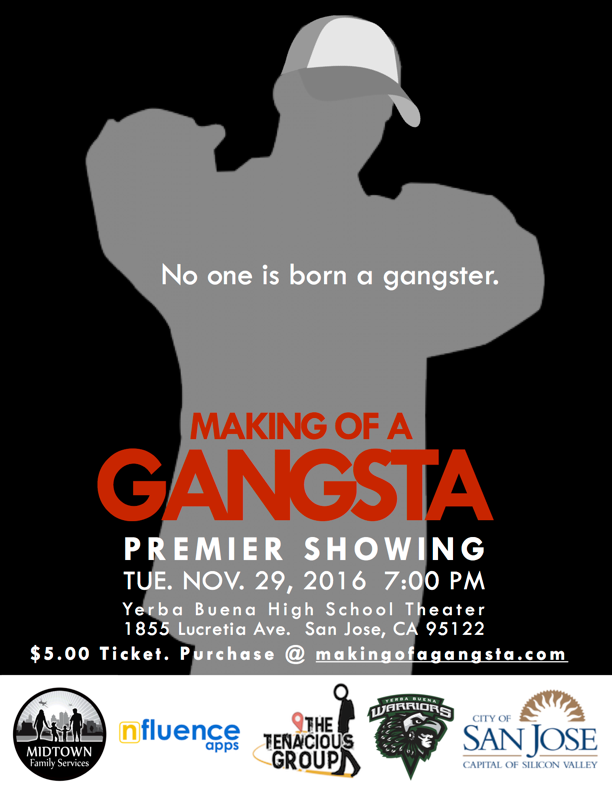 Making of a Gangsta Documentary will Premiere at Yerba Buena High School Theater located at 1822 Lucretia Ave., San Jose, CA 95122. For information about Midtown Family Services, please visit midtownfs.org.